Narges and her friend have just a few hours to find someone to take care of her baby. 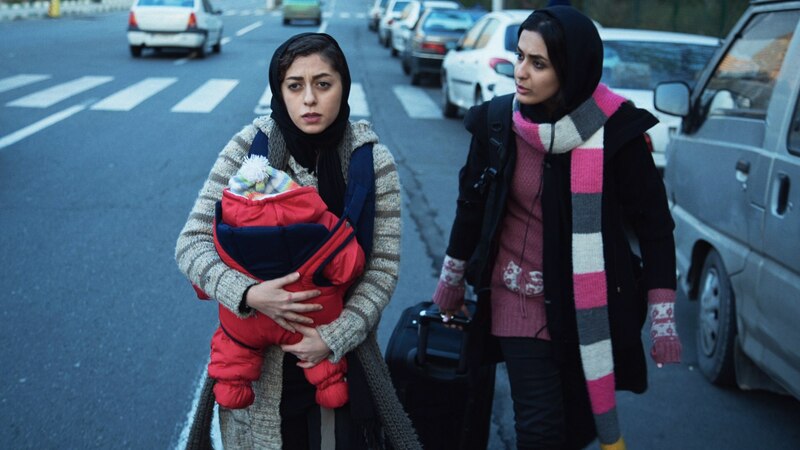 Transporting you to the streets of Iran, where we follow a couple of women in a precarious situation, Ali Asgari’s The Baby is an immersive 16-min short with an unnerving undercurrent running throughout a rather straightforward, linear story. With just hours to find a temporary home for a baby, the pair resort to desperate measures in this thought-provoking film that touches on themes of authority, society and family. The Baby is a film fraught with tension. Not action-movie tension, but authentic real-life tension. Shot in an almost documentary fashion, you really feel the urgency and implications of the situation Narges and her friend find theirselves in. In terms of concept, it’s quite a simple film (the synopsis sums up the plot fittingly), but in terms of impact Asgari’s short, and that aforementioned authentic feel, will leave you with lots to think about. Revealing in an interview for Indiewire that he’s interested in portraying “the human condition of people who are coming from a certain social background”, Asgari declares he wants to “show the pain, the sorrows and the emotions of other people through my own feelings”. The Baby certainly delivers in this aspect. You feel the pain Narges’ friend experiences having to leave her baby, you feel the sorrow that she has to hide her infant from her close family and you certainly feel the fear they both share when deciding what to do with the child. This is a film all about emotional resonance, not only asking you to consider what you would do placed in the protagonists shoes, but again the real feel of the film provokes viewers to think about the real situation of many real woman all around the world. Since creating The Baby Asgari has directed two further shorts – The Pain and The Silence – with the latter picking up a Palme d’Or nomination for ‘Best Short Film’ at Cannes in 2016. His debut feature Disappearance was recently picked up by New Europe Film Sales and is premiering at Venice/TIFF in September.